Well hello everyone! Good morning/afternoon/evening in whatever part of the world you’re reading this in! I’m Nancy M. Griffis and I’ll be your hostess with the mostest for the next few hours! This is my very first blog release party and also, probably not coincidentally, my first novel (and novella) with Dreamspinner, though definitely not my last! 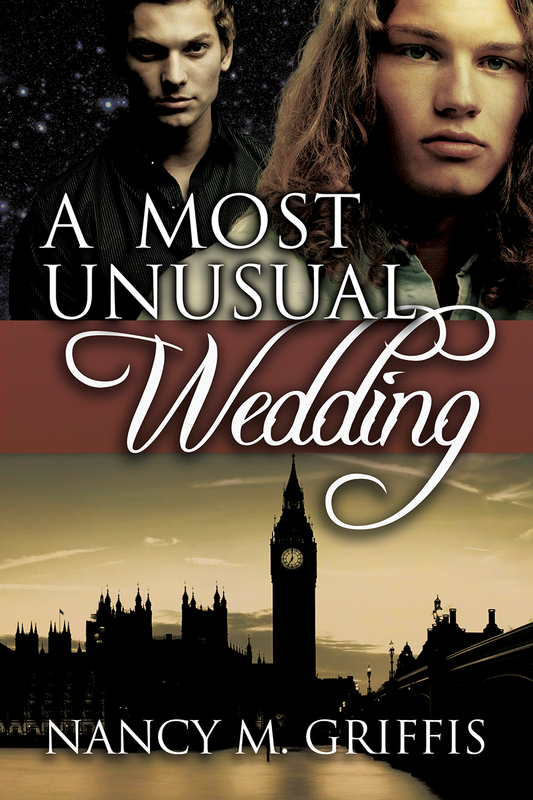 My latest novel, A Most Unusual Wedding will be released this coming Monday, 4/20/15, and its novella prequel, A Most Unusual Courtship, came out on 4/13/15. Courtship, by the way, is going to remain free so you can scoop it up asap into your hot little hands… or kindle, or nook, as the case may be… and see how it all began before the big event! As a little bonus, all books at Dreamspinner are on sale, so you’ll be able to take twenty-five percent off! I originally came up with Courtship in response to a charity anthology call for submissions a few years ago with the theme as Leather. I’ll admit that I figured it would end up a lot spicier than it did with that theme, but Gerald (the leathersmith) is a very proper Victorian man. Raised by his grandfather after the deaths of his parents, Gerald was an only child who lived mostly to create beauty through leather. As a powerful and wealthy mage, Leo is far more forward and goes after what, and who, he wants with considerably more brashness. Of course, he’s a noble, a middle child, and has traveled the world as well, so he’s a fair bit more cosmopolitan than Gerald, who’s never even left London. This is a definite case of opposites attract. 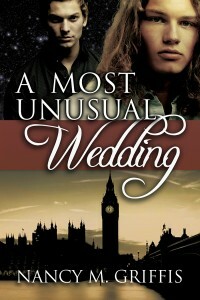 For those of you wondering how Wedding came about, I was working on other novels after Courtship and taken quite by surprise when Leo started yammering in my ear about getting married. He was very definite on the matter. I thought it couldn’t be too hard to do a full-on novel but then the research began! Let me just say that you don’t know what you don’t know about a time period until you actually start writing about it. I mostly write contemporary urban fantasy or futuristic scifi, so this was my first historical novel, which was somewhat intimidating. There are so many excellent historical novels out there and I really wanted to do it justice. Even though Wedding is an urban fantasy novel as well as historical, I wanted to get as realistic a feel for it as I could possible portray. I didn’t want to take any shortcuts because it was also a fantasy novel. I hope all the research (from underwear, to food, to types of carriages) comes through in the writing and builds a proper world for the reader. So. I’ll read pretty much any genre of novel. It’s non-fiction I need to set my mind to. ;o) How many of you out there love mixed-genre books? 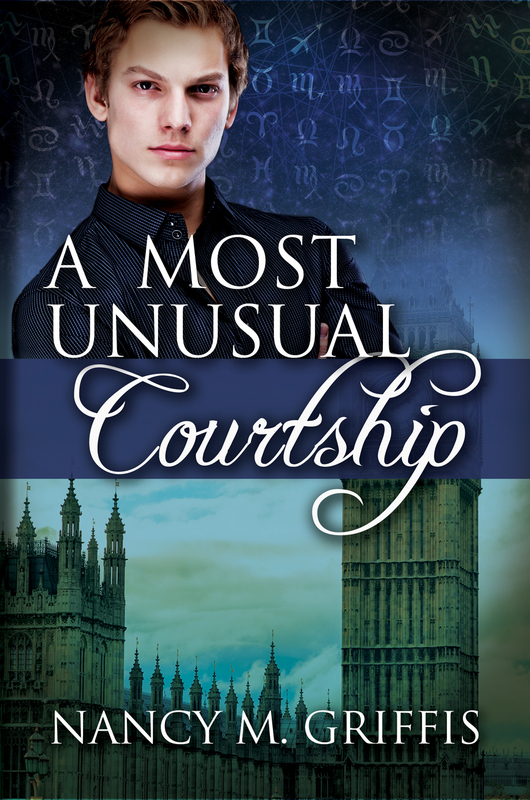 I can count three that Wedding and Courtship belong to: historical, urban fantasy, and gay romance. Do you prefer your history without any make-believe? Or perhaps you like your fantasy in a world of the author’s creation? Or are you someone who lives by ‘the more genres the better!’ philosophy? Let me know! 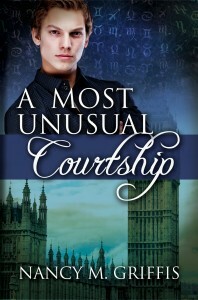 And if you’ve already read Courtship, I’d love your feedback! Good evening from me Happy (pre)-release party! These books sounds really intriguing and the covers are beautiful. Sorry late to the party. I really like mixed genre books and all three hit my interest. Hi Angela! I hope you like them both! And thanks for coming by. Sorry for the delayed response but I’m both west coast and have no home internet right now. Hey JJ, no prob! Sorry for my delayed response. No home internet plus I’m on the west coast. Hope you like the book! I’d love to get feedback.